Our encouragement is to show Colombia to the world. Show all the beauty of this country. We ourselves felt in love with this place when we first arrived a few years ago. Colombia is a country where, if you want to or not, the spirit of adventure awakens in people. Travelers find almost unspoiled spots and landscapes, still not influenced by tourism, more than authentic places. As well as its people, with incomparable human warmth, which in many other more developed parts of the world got lost long time ago. It is still an exotic country on the world tourism map. We work and support initiatives to push forward tourism in Colombia. Improve infrastructure for tourism in Colombia and promote the country abroad. Training their people in the area of tourism. 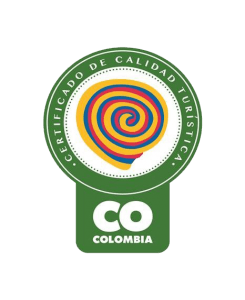 So we can make tourism in Colombia continue to grow the way it is doing now. With the increasing number of visitors prosperity comes also to remote places where today there are no jobs or other sources of income for its inhabitants. At the same time we make an effort to make this natural beauty and warmth of its people being preserved. That is why we support sustainable tourism without harming the nature and authenticity of the people. With part of our profit we support social projects, to thank the people in need the beautiful and special way as they receive their visitors. Our main goal is customer satisfaction. So we do everything possible to see our customers happy. Although Colombia's infrastructure in some regions is still underdeveloped, we make every effort to ensure smooth operation of the tours. As an agency under the direction of a German, we know what foreign tourists expect. Therefore we demand from ourselves one hundred percent fulfillment of what was promised, punctuality and quality of services. We are available for our clients 7 days / 24 hours. We distinguish ourselves from other agencies for our prompt attention, perfectionism and flexibility. The largest capital of our agency is your team and partners. So we treat all our staff with respect and handle an open policy in the agency. We care about having a team that is committed and happy with their work. Thus we ensure that our team always receives our customers with a smile, because they know that they love what they do. Part of the profits that we make go towards supporting local social projects. We think it is important to say thank you to the local people for the beautiful and special way that they receive our customers. If you are interested in seeing one of the projects we support, we will gladly coordinate a visit for you. Alex arrived in Colombia for the first time in 2003 and from that moment he fell in love with the warmth of its people and he remains fascinated with its natural and cultural diversity. Born in southern Germany (Stuttgart) he has been living permanently in Colombia since 2006. In that time he has gotten to know this captivating country extensively. He never gets tired exploring it as there are always new and amazing treasures to be discovered. An economist with specialization in marketing by profession, he became a tourism guide out of passion, being a great lover of hiking, adventure and diving. He loves to show the world the beauty of this country and that many of the negative prejudices are false; that it is safe to travel throughout Colombia and that its diversity and human quality will never stop surprising you. Come and fall in love with the country as he did! Brendan is from Dublin, Ireland with a history in Marketing and Advertising. He has been living here full time for 4 years. 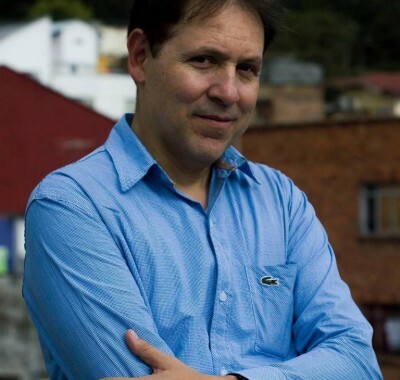 After first visiting Colombia in 2009, he realized that Colombia was nothing like his preconceived notions. The people were so much friendlier than any country he had ever been and the “dangers” he was worried about, were obsolete. The people, various climates, culture and beautiful coasts were the major attraction for Brendan. Brendan and Alex saw the opportunity to grow tourism in the Colombia and to possibly help change some of the negative reputations of this amazing place. Juliana is a lover of nature, sea and the outdoors. She loves to discover new and small corners of her beautiful country, sharing with people and learning about their culture. 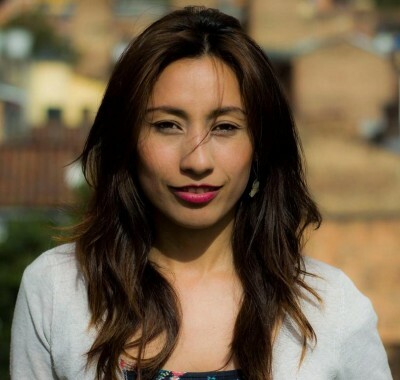 She is of Colombian nationality, lives in Bogotá and is part of our great team, supporting the administrative area. She is in charge of organizing, according to the taste of our customers, the hotels, transportation and tours. Constantly she designs customized trips through her lovely country and occasionally accompanies the tours. In short, she is one of the people that will help fulfill your dream to experience the beauty of Colombia. Apart from traveling, she loves designing jewelry. We are always looking for Strengthening our team! Send us your CV to info@travelombia.com ! Kolumbienentdecken.ch is our Partner in Switzerland. Together we offer unforgettable travel experiences throughout Colombia and we are in charge of their execution.